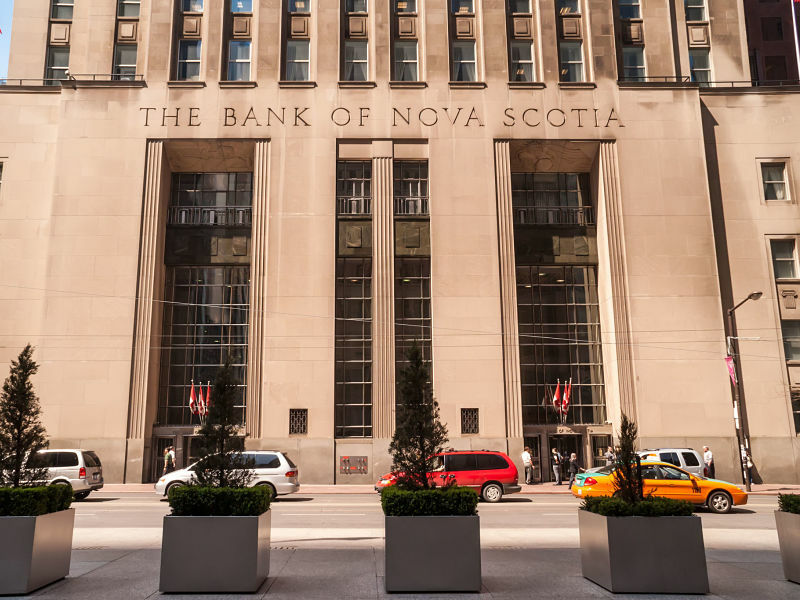 The Bank of Nova Scotia’s chief executive officer Brian Porter pushed back at renewed bets against Canada’s banking sector and the risk posed by the housing market, saying that the lender has “a lot of buffer” in the event of a significant downturn. During its annual meeting of shareholders in Toronto on Tuesday, Porter said the bank stress tests its $205 billion-mortgage portfolio on a regular basis against some “very harsh metrics” such as a 600-basis point increase in interest rates and a huge jump in unemployment. His comments come after a Veritas analyst recently urged investors to reduce exposure to the Canadian banks ahead of an “acceleration of credit losses.” As well, the U.S. portfolio manager featured in the film The Big Short, Steve Eisman, recently reiterated his bet against the country’s biggest lenders, pointing to the real estate sector and noting that Canada hasn’t had a credit cycle in roughly three decades. Last week, as other Canadian banks also held shareholder meetings, their chief executives made comments similar to Porter’s, noting that while economic growth is expected to be muted, credit quality remains good. Bank of Montreal CEO Darryl White said the risk of a recession in the year ahead was “relatively low.” Toronto Dominion Bank CEO Bharat Masrani and Canadian Imperial Bank of Commerce CEO Victor Dodig both said that Canada and the lenders themselves were well-positioned to navigate any bumpy road ahead. He later told reporters that while it is not predicting a recession, the Toronto-based bank is “downturn ready” in a number of ways and the lender is “comfortable” with its capital and liquidity levels, as well as the quality of its assets. He added that Canada’s third-largest lender is “extremely well diversified,” remains profitable and continues to pay a dividend. Among its peers, Scotiabank has the biggest international footprint and in recent years has invested heavily in the Pacific Alliance countries of Mexico, Peru, Chile and Colombia. Porter said in his speech Tuesday that in 2014, Scotiabank operated in more than 50 countries spanning 17 time zones. Over the past five years, however, the lender has exited or is in the process of exiting roughly 20 countries and five “non-core businesses,” helping to “de-risk” the bank, he said. In November 2018, Scotiabank announced a deal to sell its banking operations in nine Caribbean markets, including Grenada, St. Maarten and St. Lucia to Republic Financial Holdings Ltd. It also said its subsidiaries in Jamaica and Trinidad and Tobago would sell their insurance operations and partner with Sagicor Financial Corp. Ltd to provide products and services in the two countries. In February, the lender said it reached an agreement to sell its pension and related insurance businesses in Jamaica and Trinidad and Tobago and a separate deal to sell its banking and insurance operations in El Salvador. “Our sharper geographic focus allows us to better serve our customers, better manage complexity, reduce our exposure to risk and better protect the perimeter of the bank,” Porter told the annual meeting. However, some of those planned divestitures are being examined by the competition commission of the Caribbean Community and Common Market, an organization of 20 regional countries also known as CARICOM. In late March, the chairman of CARICOM’s competition commission said it completed a preliminary assessment of Scotiabank’s asset sales to Republic and Sagicor and determined it “could possibly have anticompetitive effects in at least three” CARICOM member states, according to statement. The chairman did not specify which members, but said it would approach the national competition authorities and sector regulators of those impacted.